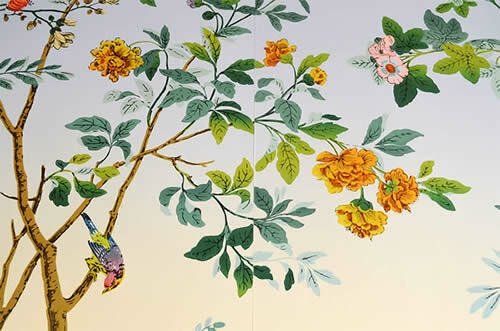 Invented in the 16th Century as an inexpensive method of interior decoration, wallpaper today is having a moment in both design and artistic spheres. Whether as expressions of contemporary place, interactive experience, political commentary or social engagement, artists and designers are using the history of an old medium in new ways. In Why Wallpaper, Villa Terrace investigates with several leading artists and designers the ways in which wallpaper has been central to their practice and explores the theoretical, technical, and artistic innovations they have achieved.